Our goal is to give you the healthy, straight, beautiful smile that you've always wanted. We understand that choosing to receive orthodontic care is a big decision. 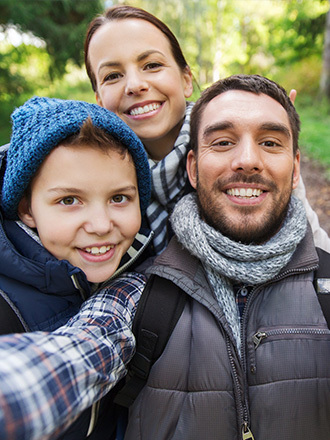 Our practice offers a variety of treatment options including metal braces, clear braces, and Invisalign and we utilize advanced technology to make orthodontic treatment as quick and efficient as possible. Just ask us about the technology available for "accelerated orthodontics." Our team will be glad to answer any questions you may have, and we will provide all of the information that you need to determine which treatment is right for you. Please contact our office to schedule your initial consultation. If Dr. Williams determines that it is the correct time to start, we will schedule an appointment to begin your orthodontic treatment. If Dr. Williams recommends waiting for more dental development before beginning your child's orthodontic treatment, we will continue to monitor dental development until the ideal time to begin. Visiting the orthodontist about every four to eight weeks is an important part of your orthodontic treatment. We will work with you to make sure that your appointments are as convenient as possible. When scheduling appointments, please let us know what days and times work best for you. It is very important that you continue to visit your family dentist every six months for teeth cleanings and routine dental checkups even during your orthodontic treatment. If extra dental care is needed, we will be happy to coordinate with your family dentist to make sure that you are receiving the best care possible.